Samsung’s next flagship smartphone, the Galaxy Note 8, is still at least a few months out meaning if you want a new handset right now and insist on it being from Samsung, your best bet is the Galaxy S8. And now may be the best time yet to buy as Samsung is running some pretty incredible deals on its drool-worthy device. The Galaxy S8 typically starts at around $725 unlocked but as of writing, Samsung is taking $100 right off the top which brings the price down to $625. Here’s where it gets good – you can trade in any smartphone running Android or iOS that’s in “good” condition and knock an additional $200 off the cost of the phone. Has Reactivation Lock, Google FRP or any other anti-theft protection software disabled. This, in turn, brings the entry price of the Galaxy S8 down to just $425 (or $525 for the Galaxy S8+) – not a bad deal at all. If you have a newer device to trade in, like a Note 5, you can save even more. A Note 5 in good condition is worth $300, for example. In the best-case scenario, you could trade in a Galaxy S7 Edge and pay just $275 for the Galaxy S8. 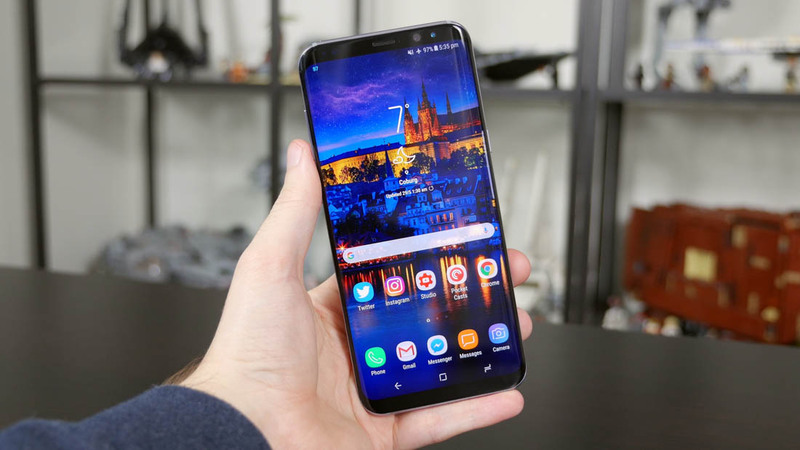 Samsung has also brought back its popular buy one, get one (BOGO) offer in which you can get a free Galaxy S8 with the purchase of a Galaxy S8 on T-Mobile’s network. Full details on this program can be found over on Samsung’s website. To the best of my knowledge, these two deals can’t be combined although you really can’t go wrong either way.